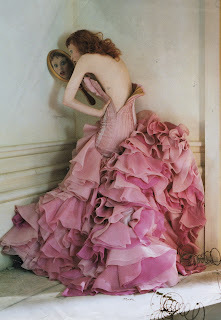 Fashion is the dream department for photography. “It is the only aspect of photography where you can create a fantasy." 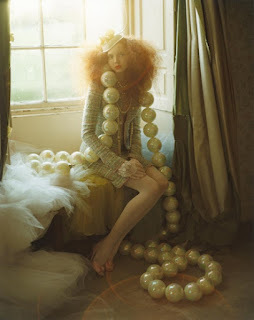 Tim Walker. Tim Walker has always been a day dreamer. Intuitive and instinctive, he takes ideas from everyday life, and like a chrysalis to a butterfly, he transforms his inspiration into the most beautiful of fantasies. 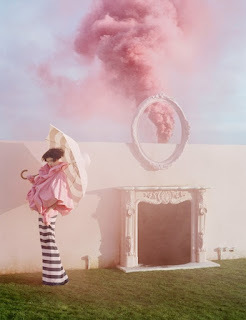 Juxtaposing beauty with eccentricity, Walker’s captivating, ethereal photos continue to grace the pages of leading fashion magazines around the world, igniting our imaginations and caressing our capacity to dream. I like to dream. Don’t we all? Our dreams and fantasies provide us with hope, escapism and aspiration beyond the realms of our ordinary existence. Walker’s enticing images capture ephemeral moments in surreal situations. They create a sense of nostalgia; for something we saw in our dreams, perhaps? His whimsical narratives transgress the boundaries of reality, yet he does not manipulate his images, he never works in a studio and he only uses natural light. Within his intricately crafted theatrical sets; the flawless models, the stunning backgrounds, the exquisite costumes, the extravagant props; everything is real. Photography doesn’t get more authentic or perfect than that. From the 18th October 2012 to the 27th January 2013 dreams will become reality at the ‘Tim Walker: Story Teller’ exhibition at Somerset House. Supported by Mulberry, the exhibition will provide an insight into the influences, stories and creativity behind Walker’s mesmerising photo shoots, featuring a selection of extraordinary props from giant dolls to a life-size replica Spitfire plane. A series of exciting events are set to accompany the exhibition, with the chance to see a series of films which have inspired many of Walker’s images. ‘Story Teller’ by Tim Walker will also be published to coincide with the exhibition, a book featuring over 175 inspirational images, collages and snapshots from Walker's personal archive. Event and film tickets are scheduled to go on sale in early September, so I’m primed to get mine asap! 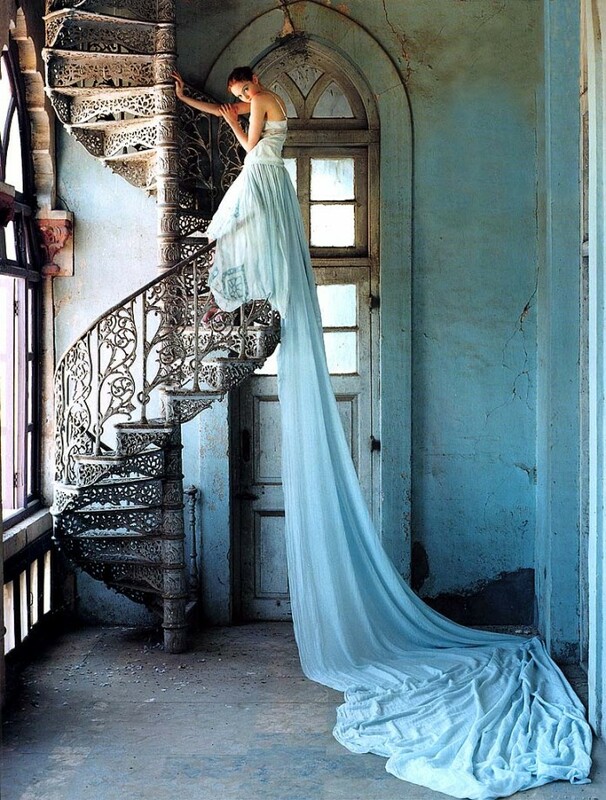 A final word from Tim Walker himself, "Only, only ever photograph what you love." give me a shout when tickets go on sale? I must get myself one! 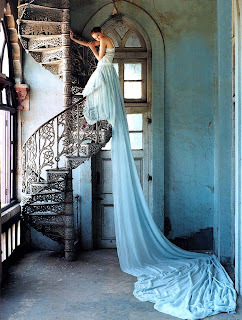 That blue dress with the train over the stairs... perfect. Thanks for sharing. I credit all images to their original source wherever possible. If I do use one of your images on this blog, and it is not credited accordingly, please let me know so I can credit you or remove it. Many thanks. Copyright (2012) Jemima C Wilson. All rights reserved.. Simple theme. Powered by Blogger.